Looking for a career in building management or a way to enhance your skills? 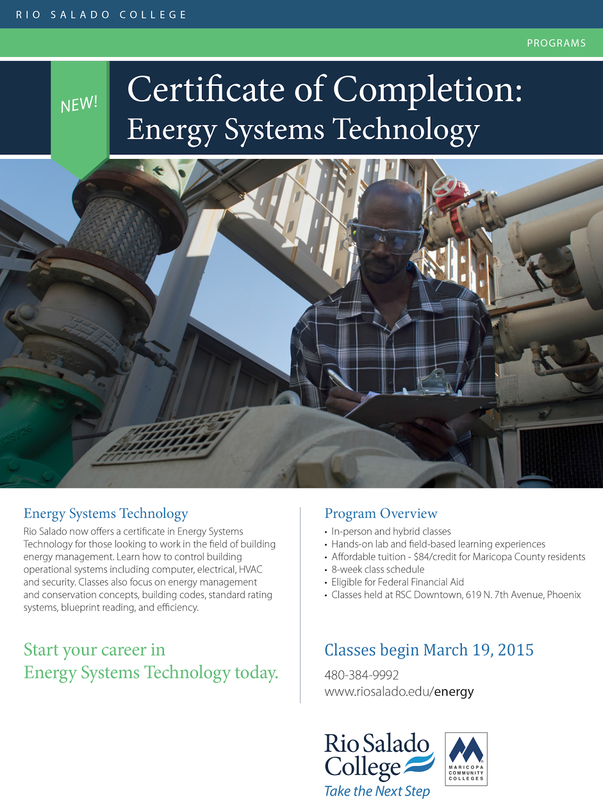 Rio Salado's new certificate in Energy Systems Technology may be of interest to you. Our next set of in-person classes begin March 19 at RSC Downtown.